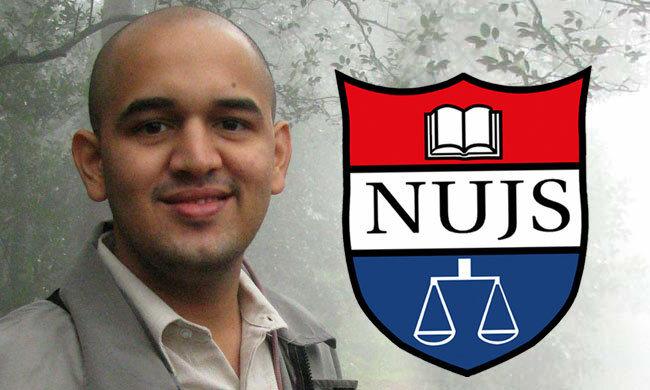 Nishant Gokhale, alumnus, NUJS Class of 2011 has been awarded the Gates Cambridge Scholarship for pursuing a PhD in law at the University of Cambridge. Nishant Gokhale was a member of the NUJS Legal Aid Society during his college days and was the convener for the same from 2010-11. He then did a judicial clerkship, followed by a few years of working as an associate at the Law Chambers of Kapur and Trehan and at Project 39-A at the National Law University, Delhi (then the Centre on the Death Penalty).He pursued courses during his LL.M. at Harvard which helped him make a transition from criminal litigation to legal history and tribal issues in India. He currently works at William J. Clinton American India Foundation based at the Adivasi Academy which is managed by the Bhasha Research & Publication Centre. This gave him an opportunity to work in a predominantly tribal area and spend a year in an inter-disciplinary library of nearly 50,000 books. The Gates Cambridge Scholarship programme was established in October 2000 by a donation from the Bill and Melinda Gates Foundation to the University of Cambridge. The selection criteria for the scholarship include the demonstration of outstanding intellectual ability, leadership potential, a commitment to improving the lives of others, a good fit between the applicant's qualifications and aspirations and the postgraduate programme at Cambridge for which they are applying. The aim of the Gates Cambridge programme is to build a global network of future leaders committed to improving the lives of others.